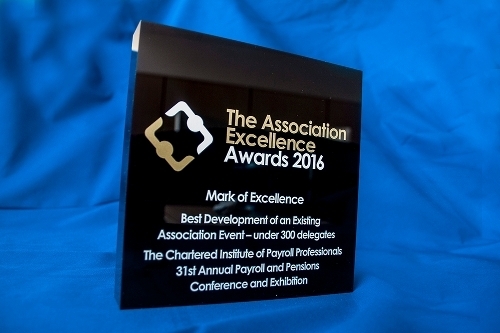 The CIPP was awarded a mark of excellence for Best Development of an Existing Event for its 31st Payroll & Pensions Conference & Exhibition. The Association Excellence Awards are judged independently by an esteemed panel of over thirty CEOs from a range of trade and professional associations. At this year’s ceremony, which took place on 26 February, during lunchtime at Hilton London Bankside hotel, sixteen awards were presented to professional and trade associations that have shown true innovation and dedication in serving their members. The CIPP is recognised as one of the top 100 companies to work for in the UK.